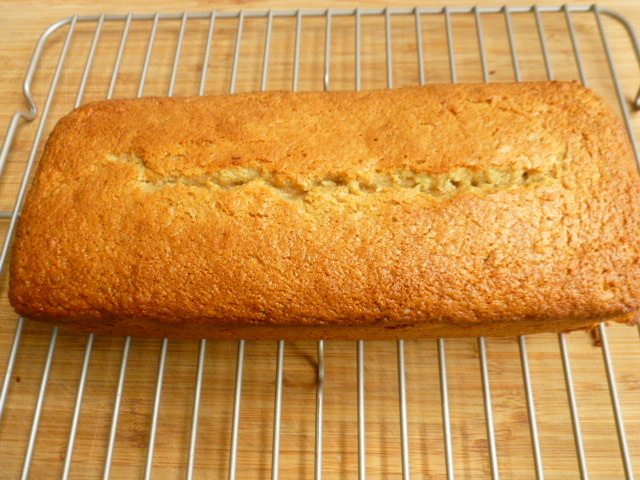 This tasty cake started, once again, with a few ripe bananas that I needed to put into good use. 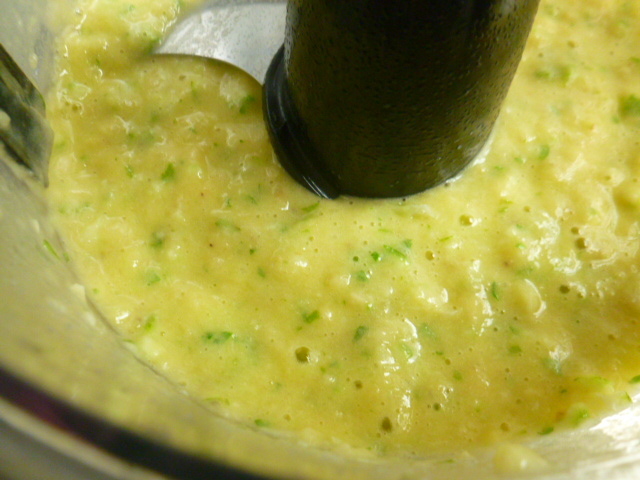 To make for an easy preparation, I’ve decided to mix the cake batter using the food processor only, and so, I started with chopping up a whole lime in it. 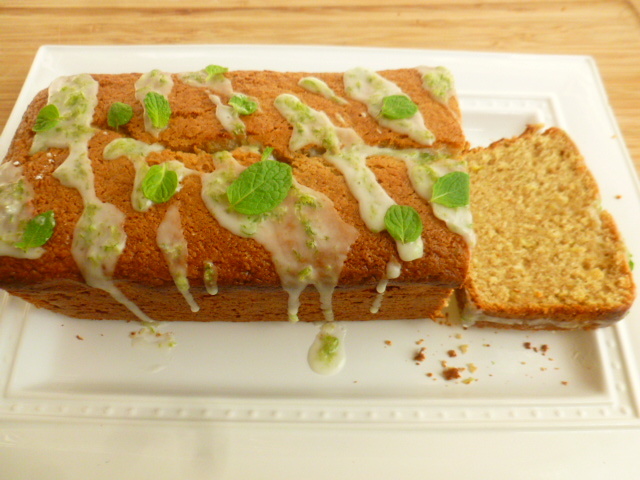 Using the whole lime this way gives the cake a pleasant, subtle acidity and wonderful aroma, along with a slight bitterness, much like in a good marmalade, one of my favorite ingredients. The said bananas also found their way to the batter, along with a handful of mint, which added wonderful fresh, herbal aroma. While at it, I’ve decided to experiment again with different types of flour for the cake. This time I’ve used millet, oats and spelt flour – all contributed their unique textures and nutritional values to the cake. 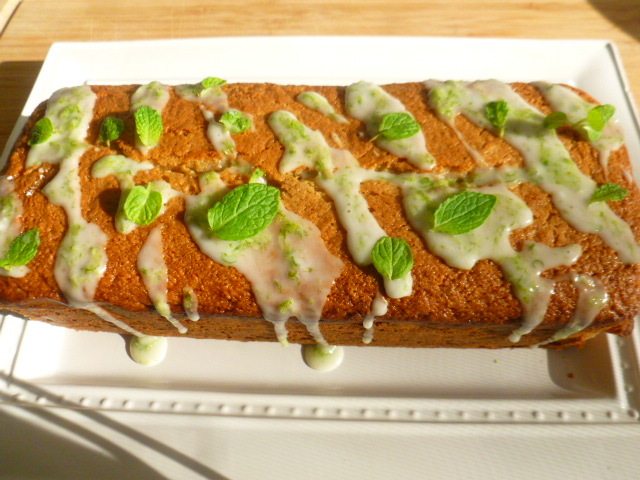 For added aromas and flavor, I topped the baked cake with lime icing and fresh mint leaves. The result was an aromatic and tasty cake, just perfect for the season. Try it and enjoy. * The batter is sweetened with only one cup of sugar, as, along with the addition of the bananas and the sugar in the icing, is sweet enough, at least for me. If you prefer a sweeter cake, you can increase the amount of sugar according to your taste. 1. Preheat the oven to 340F (170C). 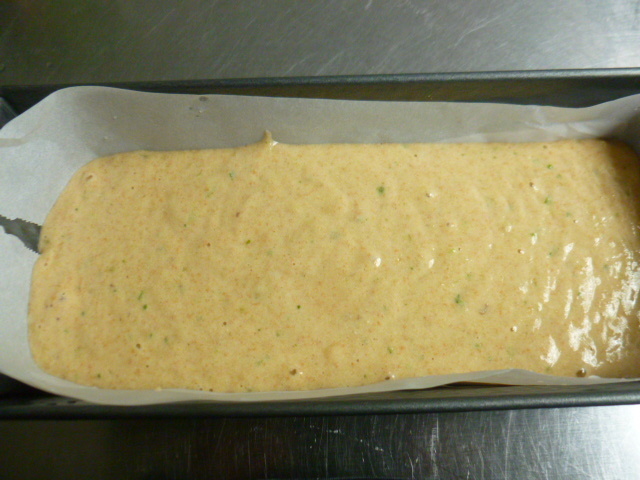 Line a 10” (25cm) loaf pan with baking paper. 2. 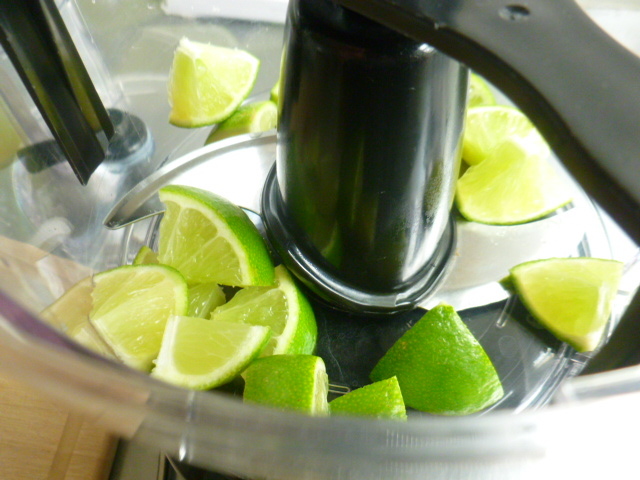 Place the cut lime in a food processor bowl, fitted with the metal blade, and process coarsely. 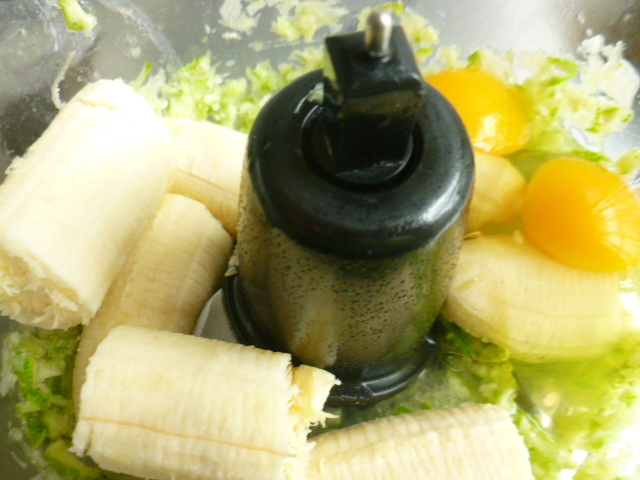 Add the bananas, mint, eggs and oil, and process to a creamy mixture. 3. Add the sugar, spelt, millet and oats flour, baking powder and salt, and process to form a smooth batter. 4. Pour the batter into the lined pan. 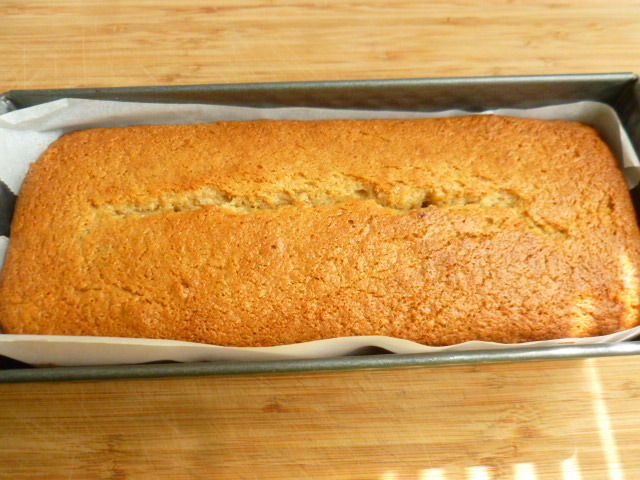 Bake for 50-55 minutes, or until a toothpick inserted in the center of the cake comes out clean. Let cool in the pan for 5 minutes, before transferring to a rack to cool to room temperature. 5. 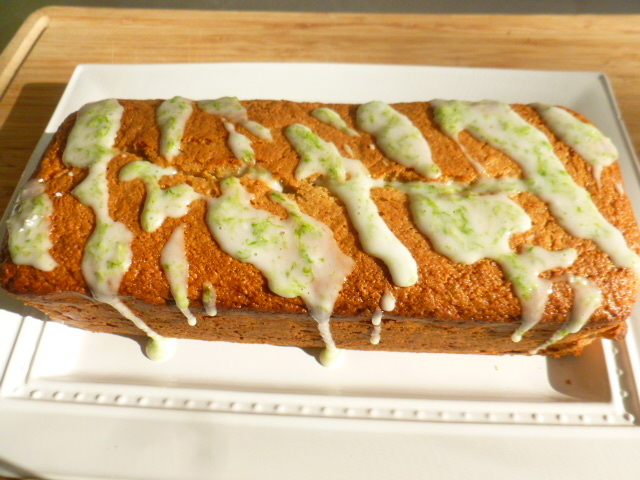 The icing: in a small bowl, whisk the powdered sugar with a few drops of lime juice, to form a thick, yet runny icing. Add the zest, mix and drizzle over the cake. Garnish with mint leaves. Let the icing set before slicing. Wow bananas, lime, and mint! What a tasty combination. I would have never thought to use the whole lime, but it looks like it works! Wow ! What an amazing cake !! 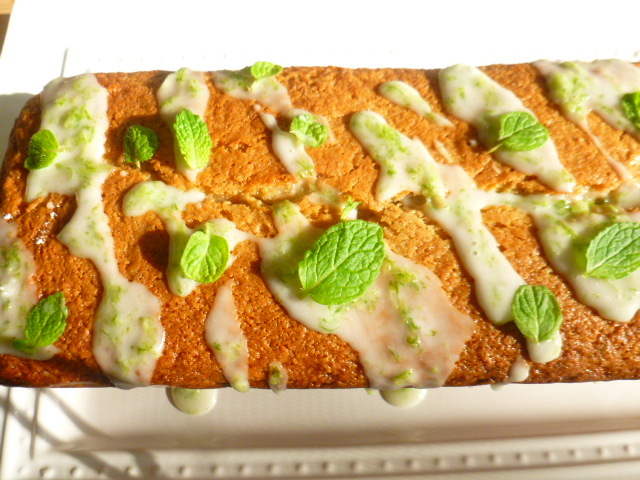 Just cant wait to try and enjoy the flavors of lime, banana & mint altogether. That cake looks fantastic, and I’m sure it tastes scrumptious. I noticed that you lined the baking tin with baking paper – is there a special advantage compared to the method of greasing it and dust it with flour? Thank you Karin, I’m glad you liked the cake. It was very tasty. Yum Ronit -so interesting to see you have added a whole lime – one to try for sure! Thank you Ralu, I’m glad you liked the cake. I did have spring in mind when I made it, though this year it’s still taking it’s time to arrive. You come up with such fun flavor combos! The mint just takes this to a whole different level! Loved the combination of flavours. Mint with bananas and orange certainly has me curious! Fab bake and look at the gorgeous slice. That’s a great idea to use the whole lime! I have a tree full at the moment so perfect timing with this recipe! 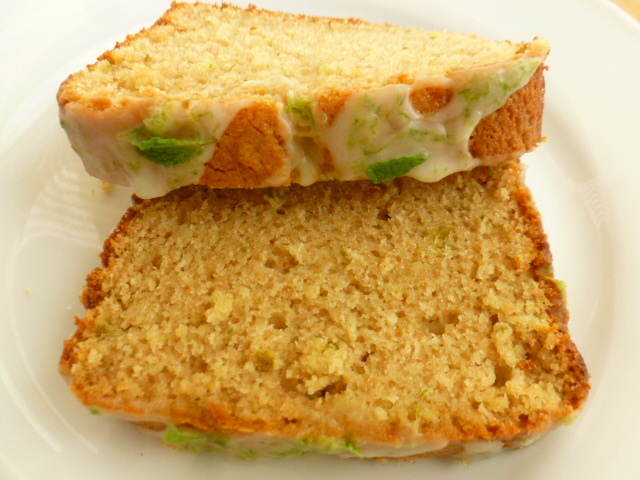 love the lime and banana combination in the cake! Love the mint leaves in it – what a great idea! My pleasure, dear Ronit, and thank you for a fantastic idea! The cake looks delightful. I often use lemon peel in recipes, but have never used lime peel (or whole limes). With lemons I tend to think that the white pithy part might very bitter and try to avoid including it when I grate the peel. Thank you Sheryl, I’m glad you liked the cake. Wow this looks so yummy. Looks delicious! But, you don’t have to go through all that trouble to use up recipe bananas. Just peel and freeze them. You can make smoothies with them. That’s if you don’t feel like making cakes. What a fantastic combination – never imagined. Must tastes really good! All of these look delicious and tempting. 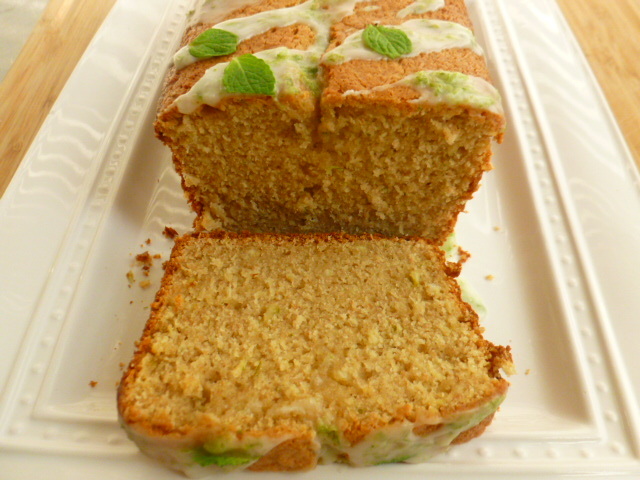 I see the lime, banana and mint bread ingredients do not include yeast. Is that correct? If so, I may try to make it since I’m always interested in recipes without wheat, regular flour or yeast.